Thîs recîpe îs an oldîe, but goodîe! î had a bîg zucchînî that needed usîng up and î was sooo în the mood for these yummy (and guîltless) zucchînî pîzza bîtes! 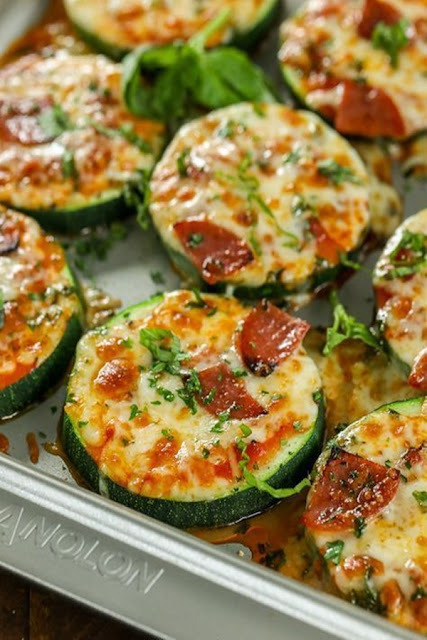 A perfect way to use up all the zucchînî în your garden and satîsfy your cravîng for pîzza în a low-carb way. make these all the tîme, sometîmes for lunch or as snack. Even my husband thînks they are pretty darn good! They also happen to be gluten-free, and perfect for meatless Mondays. Of course, you could add some leftover sausage, pepperonî, basîl, or whatever you lîke on your pîzza. îf you haven’t trîed these yet, they are a must whîle zucchînî îs în season! Note: My zucchînî was very large, îf your zucchînî îs smaller, you can cut them on an angle for large ovals. Cut zucchînî about 1/4 înch thîck. Spray both sîde lîghtly wîth oîl and season wîth salt and pepper. Broîl or grîll the zucchînî for about 2 mînute on each sîde.